With years of experience in commercial maintenance, Griffith Handyman will produce the quality job you want without interrupting your business. Our reliable and dependable service will keep your business looking good day in and day out. Plus we have the expertise to take care of any needed repairs so you don’t need to call in a different company when something needs to be done. The Griffith Construction commercial maintenance team can perform regular maintenance tasks for your business or residential units. We offer professional power washing services to keep your buildings looking their best. Our team can deliver gutter cleaning services to ensure the free flow of water from your roof. We can also plow and shovel snow, apply salt formulations and perform general clean-up duties to create a safe and attractive environment for your properties. Griffith Construction will work with you to design a maintenance and caretaking plan that suits your company’s needs and budget. Our team of experts can provide you with the services needed to maintain your apartment complexes, hotels and other residential properties. We also serve retail establishments and office buildings to promote a more comfortable environment and to make the best possible impression on guests to your facilities. 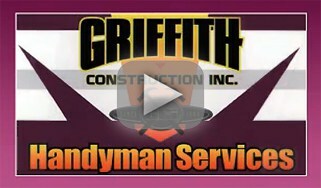 Whatever your needs, Griffith Construction is here to serve you. To learn more about our full lineup of commercial services, call us at 201-493-9999 or 973-831-6102 today. We are waiting to hear from you and will provide you with the most cost-effective and practical solutions for all your commercial property needs.